These demos only show a fraction of what the site has to offer. To see more, sign up for a free trial account. Our training modules are designed to help you learn correct finger positioning and motion, and to help you develop skill in hitting the correct keys with greater speed. 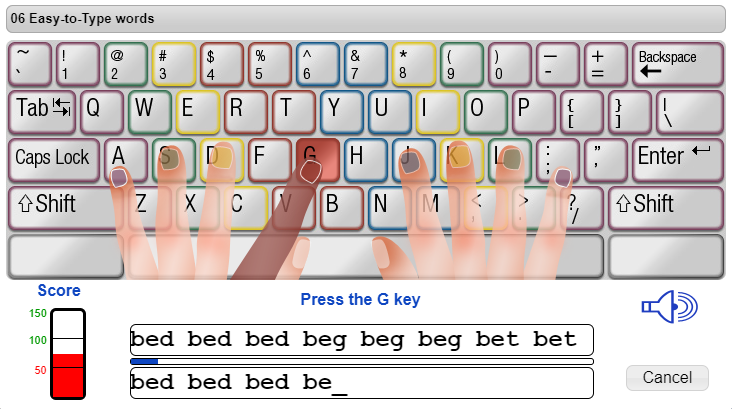 Demo 1: Watch the coach show you how to type each letter. Demo 2: Same thing, but with some funny sounds. Demo 3: See if you can type fast enough to reach a goal speed. Protect your space colony! 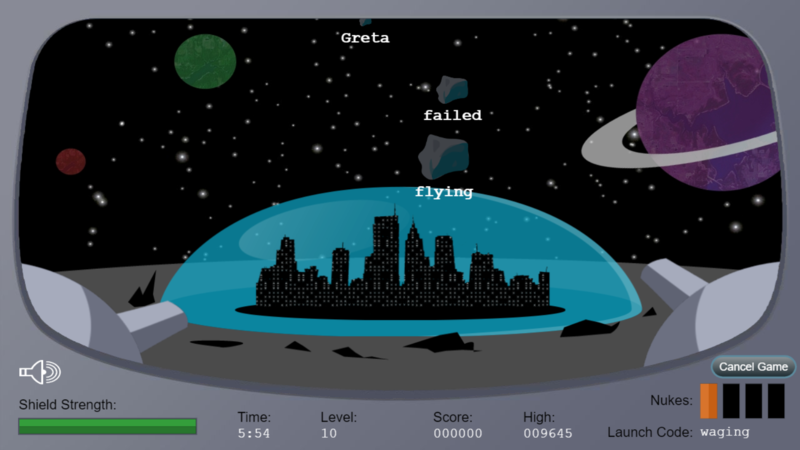 Type the words next to the meteors to blast them with your laser. Don't let too many meteors hit your shield or the game is over. It's a game of soccer and you're the goalie. Type the words next to each ball to keep them from reaching the goal. Don't allow too many balls through, or you're out of the game. To play the training module demo on a mobile device, you will need an external keyboard. To play this game on a mobile device, you will need an external keyboard.